It isn’t often that pro-life advocates who’ve spent their lives trying to save unborn babies get a legal victory in 21st-century America, where dealers of death get far more love and respect than they would if our culture wasn’t so sickened with violence. But they got one this week when the U.S. Supreme Court upheld a state law in Arkansas banning abortion by medication. As reported by The Washington Times, the high court simply refused to hear a challenge to the ban, which left to lower courts to decide whether the law is an undue burden on the ‘rights’ of women to have an abortion. The 2015 law was being challenged by — who else? 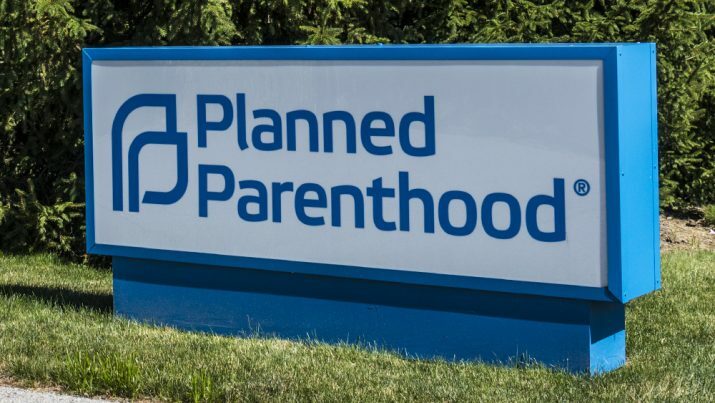 — Planned Parenthood via chapters in Arkansas and Eastern Oklahoma, who argued that it would lead to a halt in operations at two of the state’s remaining three abortion clinics. A lower federal court had initially blocked the law from taking effect in July. However, the 8th Circuit Court of Appeals decided to send the case back to a lower court judge for more consideration about what the burden on women would really be. Planned Parenthood’s default position is that any loss of clinics results in an ‘undue burden’ on a woman. But at least in this case, the 8th Circuit Court of Appeals wasn’t convinced. The lower courts will now have to work it out, but the SCOTUS decision means for now that the law can take effect as planned, meaning medication abortions will no longer be allowed. Arkansas legal officials were happy with the ruling. The law requires an abortion provider dispensing the abortion pill to have a contract with a physician that has admitting privileges to a nearby hospital in case of emergency complications. Medication abortions occur during the first trimester and have been used by Planned Parenthood clinics for more than a decade. The abortion occurs after a woman orally takes a mixture of two pills. As you may have guessed, Planned Parenthood is vowing to fight again in lower court because the death show must go on — which just proves again that the organization doesn’t really give a hoot about ‘women’s health,’ according to Kristi Hamrick, president of Students for Life of America. The law provides realistic and common-sense standards for health and safety, she said. “Abortion vendors complain that holding them accountable for their sloppy standards might result in some clinics closing, which just goes to illustrate how anti-woman the abortion industry really is,” Hamrick noted, as reported by the Times. “The Arkansas restriction, which was enacted supposedly to protect women’s health, is medically unnecessary,” the abortion giant’s attorneys argued to the Supreme Court, LifesiteNews reported. Not so, argued Rutledge. “There is no right to choose medication abortion,” she told the high court. The ghoulish organization was busted a few years ago trying to profit from the sale of baby body parts via sales that allegedly violated federal laws regarding the sale of human organs and tissues, as Natural News reported at the time. The only reason the organization got away with it was that the Abortionist-in-chief, Barack Obama — who, as a state senator from Illinois wouldn’t even vote to provide life support for babies that survived brutal partial-birth abortions — was president. Read more news about the abortion industry at Abortion.news.